Anemia Diet Fundamentals: What is anemia? Anemia is when you don’t have enough red blood cells or the ones you’ve got are misshapen, too big or too small. The result is that they can’t perform adequately their essential oxygen transport role. ...Anemia is essentially a breakdown in the line of fuel supply! Why care about anemia? According to WHO, 30% of the world’s population has iron deficient anemia, the most prevalent kind. 80% of the population has low iron levels and is at risk for anemia. Oxygen is essential for the repair and function of all organs including brain, heart, muscle, skin, bone and connective tissue. Consider anemia as a breakdown in the body’s fuel supply train. Your red blood cells are like fuel trucks. If you've got too few for the job or the ones you’ve got break down, not enough oxygen will get where it’s needed to tissue and muscle. Many of the major symptoms of anemia stem from lack of oxygen at a cellular level. Pernicious Anemia happens when a person’s gut doesn’t produce enough intrinsic factor (IF) needed for B12 absorption. Not enough IF is a significant cause of Vitamin B12 anemia, especially in older people with compromised digestive function. In the case of iron deficient anemia, red blood cells are often much fewer and smaller than normal. It’s the hemoglobin in blood that transports oxygen. Almost two thirds of the body’s iron stores are contained in haemoglobin. With B12 and folic acid deficient anemia, the red blood cells are often over-sized and misshapen. Iron is needed to make haemoglobin and myoglobin – the oxygen transport and oxygen release portions of red blood cell as well as a host of enzyme activities needed for cell growth and good health. If severe enough, anemia can lead to organ failure and death. Anemia Diet Facts – Pica is a craving for non-nutrient substances like clay, dirt or paint and is associated with iron-deficient anemia and other nutritional deficiencies. The symptoms of Vitamin B12 deficiency as well as cognitive impairment and fatigue, can involve nerve damage including tingling, neuropathy and muscle weakness. Vitamin B 12 Deficiency Anemia – Symptoms include mental impairment, fatigue, depression and nerve damage including tingling, neuropathy and numbness. Folate deficiency anemia can involve many of the same symptoms as Vitamin 12 anemia and are often confused. It’s important to determine through blood tests what kind of anemia you have, because if you only supplement for folate deficiency, you may mask the symptoms of B12 deficiency and suffer nerve damage unknowingly. To prevent this, many practitioners supplement B12 along with folic acid , as a matter of course. For more about Vitamin B12 Benefits, press here. For more about Folic Acid Benefits, press here. Anemia Diet Fundamentals: Who is at risk? Why Vegetarians are at higher risk for iron deficiency anemia? – Iron from plants (non-heme iron) is not as well absorbed as iron from animal products (heme iron). People who suffer routine blood loss especially those with bleeding ulcers, tumors and other internal bleeding. Those with digestive disorders like Chron’s, Celiac disease and IBS that can impair absorption. Those who’ve had bariatric surgery. People with low stomach acid levels including those who are older or who regularly take antacids. The Connection Between Pregnancy & Anemia – Pregnant women’s blood volume can almost double to meet the needs of the baby. This dilution can lead to anemia, if dietary levels of iron aren’t increased. Women of child bearing age especially those with heavy menstrual flow. If you fall into any of the above categories, you may be at increased risk for anemia and may benefit from an anemia diet. Try this Self Tests for Anemia – pinch the end of your finger until it is pale. If it doesn’t immediately return to a pink after releasing, but remains pale, you may have anemia. Alternatively, look inside the lower eyelid. The tissue should be a rich red- pink not pale. If pale, consider getting a blood test for anemia. Blood tests will tell you if you have anemia and, by analysing the shape and size of the red blood cells, the probable type – iron, folate or Vitamin B12-deficiency anemia. A Schilling test will determine whether you have enough intrinsic factor. If your blood tests show inadequate iron levels, your doctor may advise an anemia diet and, depending on the severity of the deficiency and your situation, iron supplements. An anemia diet in the case of iron deficiency involves consuming enough iron–rich foods and improving iron absorption. Absorption of iron from food and supplements varies, depending on the source of dietary iron and the level of deficiency. Absorption of iron from food can range from as little 5% up to 35%. ….Why does iron absorption vary so much ? Animal sources of iron (heme iron) are better absorbed than plant sources (non-heme iron). Despite this, plant sources of iron are much more prevalent in diet than animal sources. Most supplements are forms of heme iron. As well, iron absorption from food and supplements varies, depending on your body’s iron stores. When you are iron deficient, absorption increases. Animal Versus Plant Iron Sources – Absorption of heme iron from animal sources ranges from 15% to 35%; whereas non-heme iron absorption from plant sources range 2% to 20% . The latter is also more affected by factors like Vitamin C and phytate intake. Press here for a list of iron-rich foods for anemia. Press here for more folic acid-rich foods to combat folate -deficiency anemia. While iron is essential, too much can play havoc with your health including increasing your risk for heart disease, stroke and other inflammatory conditions including worsening symptoms. The problem is that iron, in excess, can lodge in soft tissue including organs like the heart, liver and kidneys. It can then function as a free radical leading to oxidative damage and increased risk of disease. Hemochromatosis is a genetic condition whose hallmark is iron overload. It predisposes a person to a higher risk of heart attack and other disease. A low iron diet and regular bloodletting are common treatments. Unless you are in a high risk group for iron-deficiency anemia like a pregnant woman or one suffering prolonged or heavy menstrual flow, you should not take supplemental iron unless your doctor advises. Seldom men and post-menopausal women need supplemental iron, unless they have a nutritionally depleted diet or suffer an underlying condition that may result in blood loss. To avoid iron overload, make sure that your multivitamin is iron free unless you are in a high risk group or your doctor advises. Anemia Diet Fundamentals – How Much Iron is right? For those under age 14 the upper safe limit is 40 mg per day. For those 14 years and older 45 mg per day is the upper safe limit. Consuming Vitamin C along with your iron-rich foods or supplements significantly improves iron absorption. Make sure you’ve got healthy stomach acid levels. Older people often don’t. 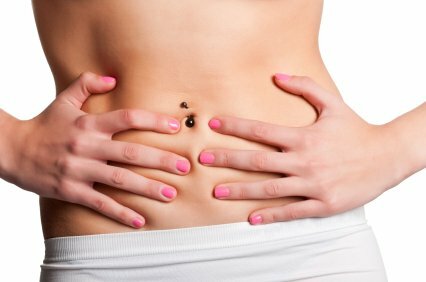 Ways to preserve stomach acid include avoiding routine use of antacids. They neutralize the acid you’ve got. Consume a little apple cider vinegar along with your food to improve acid levels and digestion. Chew well as this promotes stomach acid secretion. Avoid large amounts of phytates in foods. These prevent iron absorption. Phytates are common in many legumes and grains including beans and oats. You can reduce substantially the levels of phytates by adequate preparation; soaking and cooking beans and oats. Don’t consume your iron along with supplemental calcium – Research suggests calcium reduces iron absorption. Be careful not to consume excess tannins, contained in tea especially heavily steeped kinds. Consume your high calcium foods or supplements separate from your iron rich food or iron supplements. When anemia is diagnosed, your doctor may suggest supplemental iron. Ferrous fumarate, ferrous sulphate and ferrous gluconate are the best absorbed iron supplements. Ferrous fumarate contains by far the most elemental iron per weight. Anemia Diet Tip for taking Iron supplements – To avoid nausea, take with food and space regularly throughout the day. To avoid constipation, increase your fruit, veg and water consumption. Side effects of iron supplements can be unpleasant and include black stool (Yikes! ), digestive upset, constipation and nausea. I remember this well from my own pregnancy days when I crossed the anemic threshold. To alleviate symptoms, take iron supplements at regular intervals throughout the day and with food. Increasing your fruit, veg and water intake can prevent constipation. Press here for more on anemia foods as part of an anemia diet. Press here to read about the benefits of multivitamins. Press here to read about about the benefits of folic acid including folate-deficiency anemia. Press here to read about folic acid foods. Press on Healthy Diet Blog for timely news about health and nutrition. Press her for Healthy Diet Home.